Batman, the name when I hear it, I feel like I'm excited, anxious to know what people say about the character. I have a huge craze for Batman movies and the comic books too. Also to add with it, Christopher Nolan one of my favorite directors, the combo has given a special meal to every eyes that watch. Whenever I watch a Batman movie whether it is more than 1 time, I am always eager, thrilling, more excited about what happens next even if I know what it would be. I wanteed to make a blog post because I were able to relate some few things from that movie to the area of Blogging. I want my blog to be a bit tech, so better I get back to what I have to say. 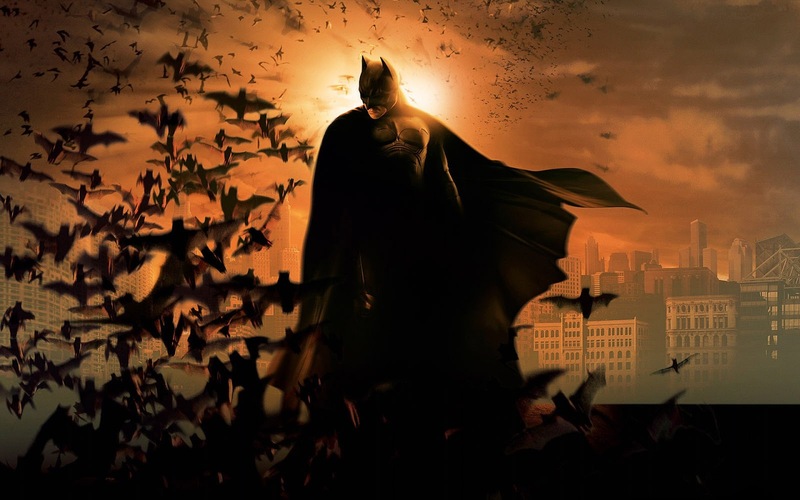 Read down to know what I had learned from my favorite Batman Troilogy. So, lets start with Batman Begins. Let me start with a quote from that movie. It is a line actually from Bruce's Father Thomas Wayne telling his Bruce when he fell into a trap. It is echoed here and there by Alfred to Bruce at some places. Can you relate it with something? Well, "Failing is a part of us learning something better for the next time". There's nothing wrong in failing. It is only wrong when you fail at something and you don't learn anything from it. Only when you fail, you learn to do it better for the next time. As for bloggers (Newbies) keep on blogging., never worry that you are not getting any traffic, more readers or not getting popular posts and all., just do what you have to do and what you can do. Learn something from it so that you can apply it for the next time to make it better than before. You can learn about something only when you try it. And when you try it develop a passion for it to make it worth you doing. I'll take that you remember exactly when the line comes in that movie. Yes, it's when Bruce is walking out with two hot chicks outside the hotel and Rachel delivers him the speech. Deliver what exactly you are intented to. Make it clear for your readers to understand what you are trying to say in a post. Give them a bright picture of your views. "Nobody remembers what you meant to do. People only remember what you do!". You can't say your readers that that is what you meant it to be and this is how it turned on. It's in vain. If so, then you are going to lose your serious readers. You have to offer your readers the way they like with better appearances on your blog and quality content with good quantity too. 3: "Why so serious?" - The Joker. The Dark Knight with an IMDB Rating of 9/10, I wouold say it is an epic of thrill. And also It is one of my favorite more than the Batman Begins movie. Joker is a legend in his work whatever it is. "Appearances are often deceptive". I agree with that point. Some may say "I have a beautiful blog with rich CSS content, but I am not getting much traffic to my site!!". Folk, I will say that only a beautiful dress is not enough to show you pretty. You need to bring out the smile inside you to make yourself seen pretty to the world. I have seen some blogs that are not rich in their look, but have great content inside it. Its worth reading too. But like I said in the 2nd point, you should also look atleast neat enough to impress someone. The way your blog looks, gets you the weightage to your content inside too. May be some miss their effect to make it seen rich but all it matters is the content inside whether its worth or not. This line belongs to "The Dark Knight Rises" . But I wanted to quote this here with Dark Knight. Harvey Dent is the reason to quote it here. He was a hero until he lost faith in himself and the world, turned to see himself as a villain. Unlike anyone, Gordon trusted in Batman as much as he trusted himself. I am about to say that "Trust in fellow people and yourself". For gaining the trust of your readers, your posts should possess a quality called Truth. Write with real time examples and lead them exactly to the station. You are never going to increase your frequent readers list not unless you write the truth. Assumptions and some rubbish explanations may find amusing for just one time but it wont last long. Take time to review things before you write. Rely on legitimate resources. You will find interesting with your readers to share the truths. 5. "It's the fear of death that will drive you to move faster than possible, fight longer than possible"- Blind Prisoner in the Pit. As it is been said by a guy who was with Burce in the pit where Bane prisoned him to die a slow death, in Blogging you need to be feared about one thing. Quitting. The more fear you develop for Quitting, the more better you turn around to be a person who is opposite to it. Most newbies quit too early getting frustrated before even waiting to reach a year full on. Quitting doesn't help. It makes you a coward. Face the world with truth and reality. Blogging is a life time process to do it, rather to say it is an enjoyment of life. Everyone has their own style . Blog by it. Once you continue you may start to find the fruits on your tree. I am never been much impressed by anyother than this scene from the movie The Dark Knight Rises. Bruce triees, tries and tries to climb off the pit. He fails for 2 times. Then he makes the climb without the rope. He was able to do it finally. "Try, try, try until you succeed. Never Say never". These words say it all. What if he had decided to quit and stay back at the pit and let himself die? He would never have his chance to save this Gotham city. Who knows your chance might be the next step you're going to take. Doing something so long in different ways makes you an expert in that field. Try out and make your climb. In The Dark Knight Rises, Bane almost defeated Batman at the first half. He had an ally- Darkness his power vested in him by birth. Bane has more experience in dark than Batman. So, this means to do something continously makes you good at it. Finally Batman beat Bane. "Make an Ally. Go by it". Blog the topic that you are interested in. It will be better if you have known about it for so long so that you can make a good outcome from it. That will help you gather more content with less effort. You cannot shine writing a tech blog with all your interest in Cars and Bikes. Make a connection with your work and carry on your bright work. Don't even think about quitting before you know it. I love Batman Movies right from my childhood. I just wanted to share what I could able to relate with my favorite movie of all times so that I could make out a post from it. A better post that can relate with Blogging tips and I would love you guys if you could comment on your views with this movie. Keep Blogging Guys. Make your blogging passion out with fun and enjoyment.